If you passed through downtown San Diego on Wednesday, March 31, 2017 just after 6pm, you may have witnessed a parade of individuals, sporting patriotic colors and holding flags of every size, marching through the streets toward San Diego Bay. The group was heading to a fundraising event aboard that USS Midway with the goal of increasing public awareness and support for several local San Diego Veterans organizations. If you looked closer, you may have also seen a sea of Pacific Sotheby’s International Realty blue name badges worn by many of the marching flag holders. As a company Pacific Sotheby’s International Realty was the Premier Sponsor of the Patriot Rally and No Greater Love film screening, but it was as a family of co-workers that so many came together to show their support (and open their wallets) for the cause. The Patriot Rally featured a special screening of the international award-winning military documentary No Greater Love aboard the flight deck of the USS Midway. The film explores combat deployment through the eyes of an Army chaplain who carried a camera in Afghanistan, capturing the gritty reality of war as well as the bond that is made among troops. The film shows the experience of war, but more importantly, helps viewers understand the personal struggles of soldiers. The event also included the presentation of Colors provided by the JROTC Color Guard of Chaparral High School in Temecula, California, a special performance of the United States National Anthem by country singer Amy Scruggs and guided tours of the USS Midway. All proceeds from the event benefited Angels of America’s Fallen, American Legion Post 416, USO San Diego and Operation Engage America, all local organizations that strive to help the families of the men and women of the U.S. Military, Veterans, and Gold Star families. 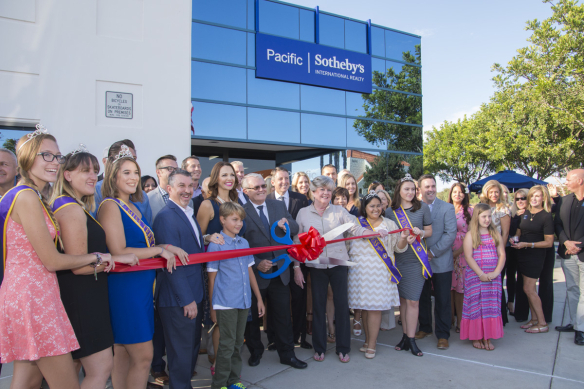 Prior to the main event and film screening on the USS Midway, Pacific Sotheby’s Realty hosted a private VIP reception at the sales office of Savina by Bosa. The reception featured a talk from Chaplain Justin Roberts, Producer of the documentary No Greater Love and a silent auction that raised over $10,000 for the event. 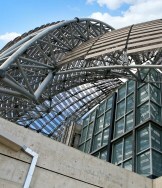 San Diego is the first city to host this event. Similar rallies are planned across the nation, culminating board the USS Intrepid in New York harbor on September 11, 2017. To donate and for more information about the documentary “No Greater Love” visit visit http://www.nglfilm.org.